The Centre today informed the Supreme Court that it was willing to extend till March 31 next year the deadline fixed for mandatory linking of Aadhaar for availing various services and welfare schemes. The Supreme Court now will be setting up a five-judge Constitution Bench next week to hear several pleas seeking an interim stay on the Centre's decision of mandatory linking of Aadhaar. A bench headed by Chief Justice Dipak Misra was informed by Attorney General K K Venugopal that the Centre was willing to extend the deadline of December 31 to March 31 next year for linking of Aadhaar with various services and schemes. The Attorney General, however, made clear that February 6 next year would remain the deadline for linking Aadhaar for availing uninterrupted mobile services as it had been mandated by the apex court. 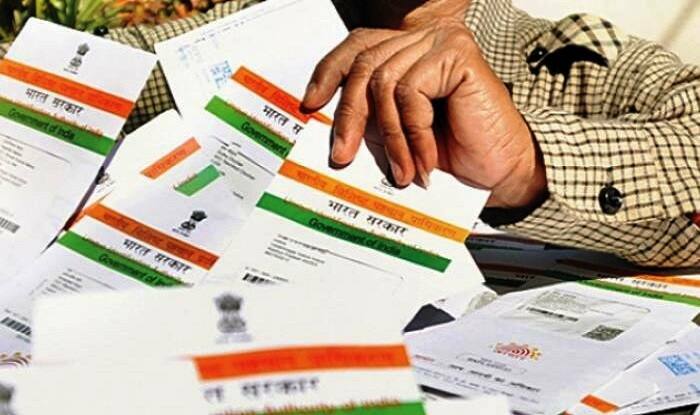 Senior advocate Shyam Divan, appearing for those who are opposed to Aadhaar scheme told the bench, also comprising Justices A M Khanwilkar and D Y Chandrachud, that the central government should give an undertaking that no coercive steps would be taken against those fail to link their Aadhaar with various services. The apex court on October 30 had said that a Constitution Bench would commence hearing on the clutch of petitions against Aadhaar scheme from the last week of November. The Centre had on October 25 told the top court that the deadline for mandatory linking of Aadhaar to receive benefits of government schemes has been extended till March 31, 2018 for those who do not have the 12-digit unique biometric identification number and were willing to enroll for it. The Attorney General had told the court that no coercive action would be taken against those who do not have the Aadhaar card but are willing to enrol for. He had said such people would not be denied the benefits of social welfare schemes till March 31. They had also objected to the CBSE's alleged move to make Aadhaar card mandatory for students appearing for examinations, a contention denied by the Centre.